Before his election to the Senate, Sen. Costa was a deputy sheriff in Allegheny County and Allegheny County Register of Wills. 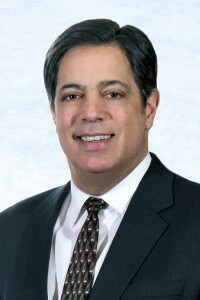 He is currently a shareholder in the downtown Pittsburgh law firm Grogan Graffam P.C. Sen. Costa’s legislative record of accomplishment is long and features signature laws in the areas of education, family law, judicial reform, public safety, job creation and health care. Early in his career, Sen. Costa prime sponsored the plan (FAIRx) to leverage rebates to lower drug costs for seniors – a concept later signed into law by Gov. Ed Rendell. He was a strong supporter of expanding the nationally-recognized CHIP program and Medicaid. He also authored legislation to direct cooperative agreements between insurers and providers as a means to resolve the Highmark/UPMC coverage dispute. Sen. Costa toughening a law that imposed penalties for school bus drivers that exceed fixed blood alcohol levels and enhanced penalties for those who drive under the influence with a minor in the vehicle (Act 24). Recently, he championed a new law (Act 70) that adds protections for construction and public safety workers in highway work zones.